Situated in the entertainment district, this aparthotel is within a 10-minute walk of Melbourne Cricket Ground and Hisense Arena. Rod Laver Arena and Federation Square are also within 15 minutes. Jolimont Station is 8 minutes by foot and Parliament Station is 16 minutes. 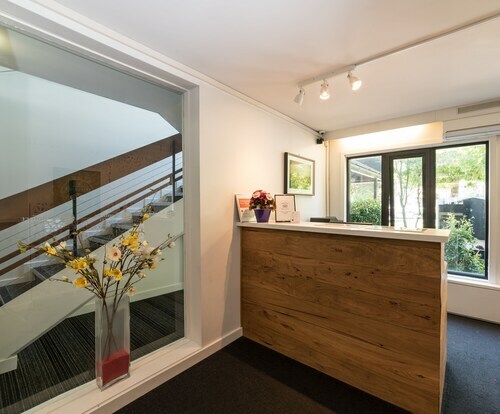 Situated in East Melbourne, this aparthotel is within a 15-minute walk of Fitzroy Gardens, Melbourne Cricket Ground, and St. Vincent's Hospital. Princess Theatre and Her Majesty's Theatre are also within 1 mi (2 km). North Richmond Station is 9 minutes by foot and Jolimont Station is 12 minutes. 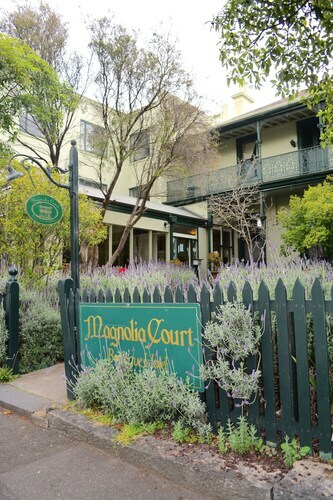 Located in the heart of East Melbourne, this luxury hotel is within a 5-minute walk of Fitzroy Gardens and Melbourne Cricket Ground. Rod Laver Arena and Hisense Arena are also within 15 minutes. Jolimont Station is only a 2-minute walk and West Richmond Station is 12 minutes. 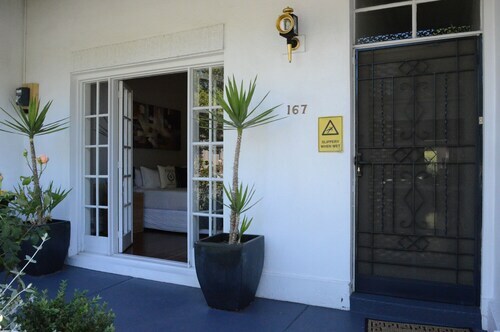 Situated in the business district, this bed & breakfast is within a 10-minute walk of Fitzroy Gardens and National Sports Museum. Melbourne Cricket Ground and Carlton and United Breweries are also within 2 mi (3 km). Jolimont Station is 6 minutes by foot and West Richmond Station is 10 minutes. 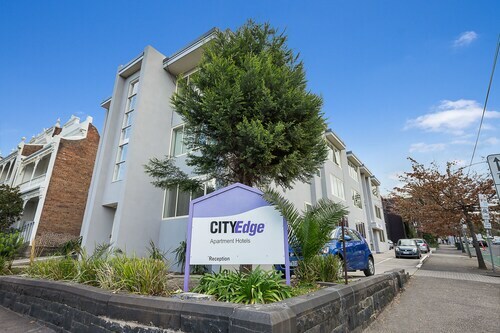 Situated in East Melbourne, this apartment building is within a 10-minute walk of Bridge Road and Melbourne Cricket Ground. Rod Laver Arena and Princess Theatre are also within 1 mi (2 km). Jolimont Station is 6 minutes by foot and West Richmond Station is 6 minutes. At the head of Port Phillip Bay sits Melbourne, the capital city of the state of Victoria. A place where towering skyscrapers dot the landscape until they disappear, revealing outer suburbs of quaint residential streets and beautiful green areas. One of the many enclaves we speak of is East Melbourne, home of one of the grandest sites in cricket along with splendid Victorian gardens. Follow our East Melbourne travel guide and you’ll enjoy everything this place has to offer. How do I get to East Melbourne from the airport? East Melbourne is only 24km from Melbourne Airport (MEL) so getting to your East Melbourne accommodation is easy as taking a cab. Or snagging car hire from Wotif in case you get the urge to drive yourself. A cheaper option is to hop on the SkyBus for the short ride east. What are the most popular hotels in East Melbourne? What kind of hotels are there in East Melbourne? We could give you a very long answer about the variety of East Melbourne hotels, but we’ll just keep it short. There’s luxury resorts, boutique hotels, full-service apartment accommodation and budget inns. It’s up to you to choose the one for you. Oaks on William: This new, full-service apartment hotel offers its guests rooms ranging from studios to 2-bedroom. Some of the features include free Wi-Fi, 24-hour reception, a gymnasium and a tour desk. Park Hyatt Melbourne: This amazing 5-star hotel is loaded with unbelievable amenities like the full-service spa. With treatment names like Peace Package, the Purity Package and the Pure Indulgence Package, you know you’re in for some serious relaxation. Where should I stay in East Melbourne? With a stay at the Jasper Hotel, you’ll be within walking distance of the Queen Victoria Market, the largest open-air market in the Southern Hemisphere. Wander around on your own or you can sign up for one of the guided tours. The Pullman Melbourne on the Park is the place to be if you’re looking to stay within an arm’s length of the Fitzroy Gardens. What are those? They are one of the biggest and most famous Victorian-era landscaped gardens. 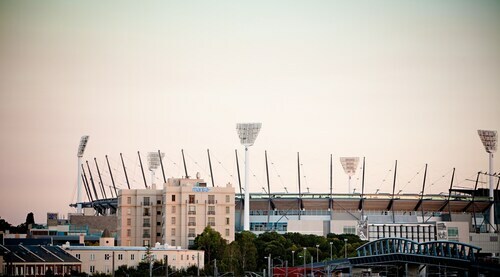 If you’re an avid cricket fan, the Melbourne Cricket Ground will be your home away from home. But since you can’t legally spend the night there, get a room at the Quest Jolimont only a couple of blocks away. What are some fun things to do in East Melbourne? You may thing a suburb that’s 2km east of the central business district is missing out on all the fun, but you’d be mistaken. 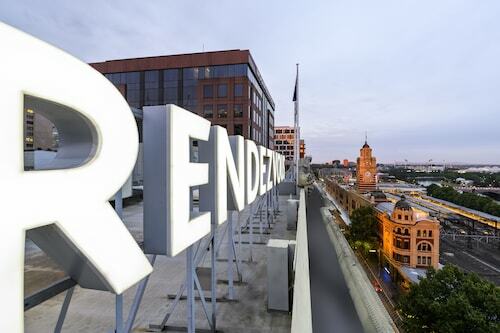 From your East Melbourne hotel, the possibilities are endless. Melbourne Cricket Ground: Locally known as “The G”, this stadium is the 10th-largest in the world and is home to the Melbourne Cricket Club. After you take in a match, check out the National Sports Museum located on the grounds. Federation Square: A short 2km trek from the East Melbourne will bring you to the city centre. More specifically, Federation Square, where the Melbourne Visitor Centre, National Gallery of Victoria and the Australian Centre for the Moving Image (ACMI) are located. Victoria’s capital is filled with treasures. Not just landmarks, but quaint suburbs that are worth exploring. 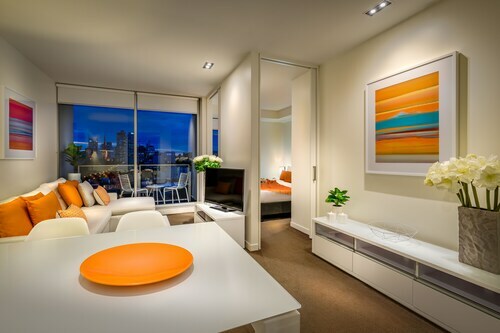 Check out Wotif’s fantastic offers on East Melbourne holiday packages and make plans for your trip immediately. And when that’s all taken care of, book Darwin accommodation and hit two state capitals in one trip. How Much is a Hotel Room in East Melbourne? Hotels in East Melbourne start at AU$82 per night. Prices and availability subject to change. Additional terms may apply.